Help heart. I want to revisit the topic of cardiovascular disease and to write about the treatment of atherosclerosis, cardiac ischemia, stroke. All because we know how much this problem is topical today. Atherosclerosis is necessary to lead an active lifestyle to fight obesity, comply with milk-vegetable diet. Garlic vegetable garden to eat 3-5 grams 2 times a day for half an hour before eating, drinking yogurt. Well take a decoction of rose hips and parsley. Not bad also drink red clover: 2 tbsp. spoons pour 2 cups boiling water and infuse overnight, in the morning strain and drink 100 g 4 times a day (well also removes noise in the ears). 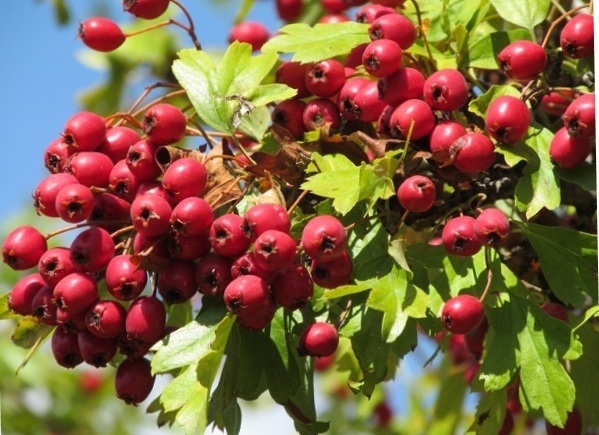 At the heart ischaemia need to take a decoction of hawthorn — 2 tbsp. spoon flowers fill the cup of boiling water for the night. In the morning strain and drink 100 g 4 times a day for an hour before a meal. When stroke: 3 tbsp. spoon hawthorn (flowers and fruits), pour 3 cups boiling water. Insist, encased in an hour, drain. Drink a tablespoon 3 times a day. For cores are well taken, and succinic acid. And if it is taken in conjunction with the mummy, it is possible to live much longer. Succinic acid has a very important feature — it finds itself in the body of those areas that need it, bypassing healthy. Sleeping on your back is good for heart. People suffering from hypertension, it is best to sleep on their backs, as the heart in this position is not subjected to additional stress. hypertensive patient’s body when falling asleep in this position is not overheated or cooled as falling asleep on the left or right side. From the body lying on his back, gradually warms the layer of air between the blanket and mattress, and the man fell asleep, as if immersed in a pleasant soothing air bath temperature. Skin blood vessels dilate uniformly on the surface of the body, there comes a quiet and refreshing sleep.